Pinkberry is opening their newest location in the North End at 285 Hanover Street. Stop by on Thursday, August 1, 2013 from 4-7pm to grab free yogurt, yum! For more information, please visit here. Wow! 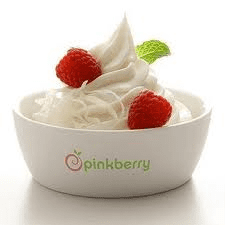 Yesterday I posted about Free Pinkberrygreek yogurt every Wednesday in April, and now we can grab free Pinkberry again TODAY, Thursday, April 4th, 2013 at the new Pinkberry Chestnut Hill location! Stop by 49 Boylston Street in Chestnut Hill from 6-9pm for free yogurt, music, raffles, and a chance to win free Pinkberry for a year! Nice! Free Pinkberrygreek Yogurt Every Wednesday in April! Pinkberry is back with a great breakfast promotion every Wednesday in April! Stop by your local Pinkberry from 11 AM to 2 PM on Wednesdays to grab a free pinkberrygreek (not frozen) yogurt all April long. Free breakfast tomorrow at Pinkberry MA stores! Tomorrow, July 18th is the second to last Wednesday morning that Pinkberry will be serving free greek yogurt, fruit & granola from 8-10am at their Massachusetts locations! Stop by and grab free breakfast! Sweet!